HEADQUARTERS, the Monkees' third album and third consecutive LP to hit #1 was originally released in May 1967 and featured production by Chip Douglas, allowing the band greater creative control. Introduced stand-outs including the Top 40 Michael Nesmith-penned hit The Girl I Knew Somewhere, You Just May Be The One, and Randy Scouse Git. Plus, Peter Tork's For Pete's Sake, later used as The Monkees TV show's closing theme. Among the 21 bonus tracks are rare, previously unreleased stereo remixes including You Can't Tie A Mustang Down, If I Learn To Play The Violin, and the Neil Diamond-composed A Little Bit Me, A Little Bit You. Bonus rarities also include demo versions of Nine Times Blue, Midnight Train, and Pillow Time and the first recorded version of The Girl I Knew Somewhere. The Monkees formed in 1966 when Micky Dolenz, Davy Jones, Mike Nesmith, and Peter Tork were picked out of a mass casting call to portray a rock band on a madcap sit-com intended to send up the zany spirit of A Hard Day's Night. The show became an Emmy-winning phenomenon and propelled the lads out of their TV roles to become bonafide, chart-topping music stars as well during the quartet's peak years, 1966-68, they amassed sales of over 16 million albums, outselling the Beatles and the Stones combined. Last year, in celebration of the 40th anniversary of that pop culture milestone, Rhino began a complete overhaul of their catalog, upgrading the group's first two classic LPs to 2CD Deluxe Edition reissues. 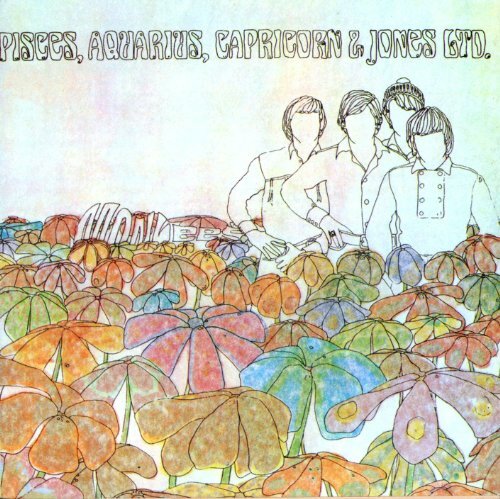 The restoration continues with the Monkees' third and fourth LPs, HEADQUARTERS and PISCES, AQUARIUS, CAPRICORN & JONES, LTD., both #1 smashes on Billboardr's Pop Albums chart.